Provision of professional archaeological advice, expertise and resources. 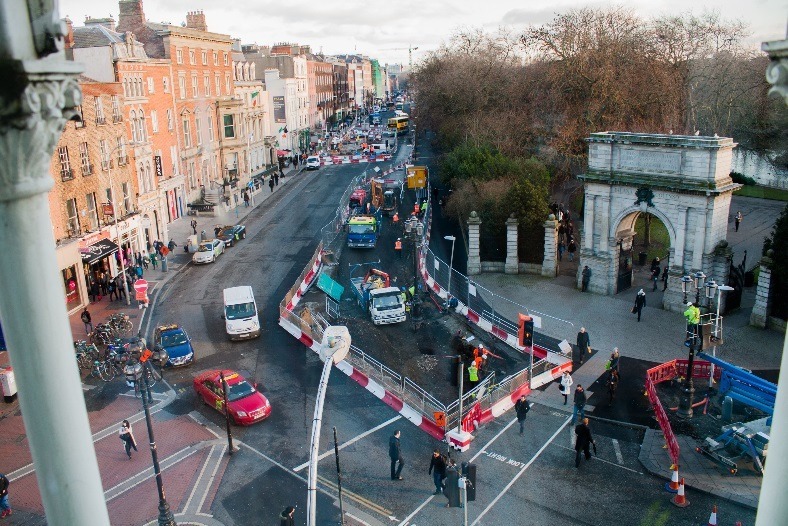 Rubicon Heritage Services Ltd were initially engaged on the project to provide the Cultural Heritage chapter of the EIS for this project which was set to join the two existing LUAS light rail networks through the centre of historic Dublin. We also acted as Expert Witness during the subsequent Oral Hearing. Subsequent work on the scheme has involved the archaeological supervision of the diversion of utilities along the length of the scheme. We are currently the archaeological contractor for the main construction stage of the project which is set to be completed and operational in 2017. The scheme is set to link the LUAS Red Line & Green Line with thirteen new stops across the city. The overall outcome is expected to be an additional 10 million passenger journeys per year. Rubicon Heritage Services Ltd supplied all of the professional archaeological advice, expertise and resources for this significant infrastructural project which bisects the historically significant center of Dublin.